￼￼￼Affiliate owner Chris Sinagoga talks about two articles and three videos that made him a better trainer. When you first watched “The Shawshank Redemption,” the ending probably left you wondering how Andy Dufresne bested the warden and his crew. Because you wanted to relive that excitement, and because Morgan Freeman’s voice brings serenity to life, you watched the movie several more times. 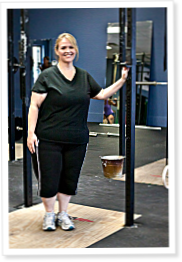 Photos started regularly appearing beside the CrossFit.com WOD in May 2003. 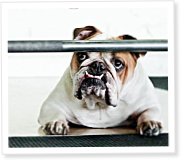 Shortly thereafter, the small CrossFit community outside Coach Greg Glassman’s gym in Santa Cruz was introduced to Athena the pit bull. On Episode 252 of CrossFit Radio, host Justin Judkins interviewed inspiring athlete and CrossFit success story Holly Rose. This episode was webcast live at 6 p.m. PDT on Wednesday, Nov. 28, 2012.